HAVE you got a sweet tooth that you just can't keep satisfied? 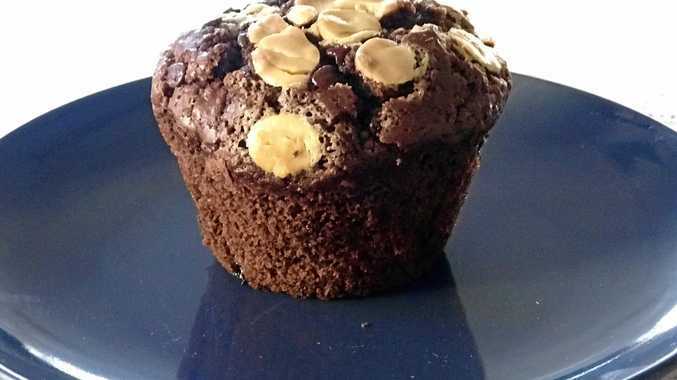 Well, why not give these scrumptious muffins a go. They're super-easy to make - and super-easy to eat on the go. Pour dry ingredients into a bowl and stir. Mix wet ingredients into a pile together as well, the more whipped and fluffy the better. Pour into paper muffin holders on a baking pan. Place in preheated oven at 180 degrees. To check if ready, stab with a fork. They are cooked if the fork comes out clean. Ifmixture sticks to the fork, cook a little longer. Once done, leave to cool. Pack as many as you would like. You can add choc chips or blueberries to the mixture for something different.